Argon is the third most common gas in the Earth's atmosphere, at 0.93% .argon is the most prevalent of the noble gases in Earth's crust. Argon is produced industrially by the fractional distillation of liquid air. Argon is mostly used as an inert shielding gas in welding and other hightemperature industrial processes where ordinarily nonreactive substances become reactive; for example, an argon atmosphere is used in graphite electric furnaces to prevent the graphite from burning. 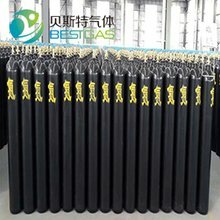 Argon gas also has uses in incandescent and fluorescent lighting, and other types of gas discharge tubes. Argon makes a distinctive blue green gas laser. Argon is also used in fluorescent glow starters. Industrial processes- An argon atmosphere is used in graphite electric furnaces to prevent the graphite from burning. Argon is used in various types of arc welding such as gas metal arc welding and gas tungsten arc welding, as well as in the processing of titanium and other reactive elements. An argon atmosphere is also used for growing crystals of silicon and germanium. Scientific research- Liquid argon is used as the target for neutrino experiments and direct dark matter searches. Preservative- Argon is used to displace oxygen- and moisture-containing air in packaging material to extend the shelf-lives of the contents. In wine-making, argon is used in a variety of activities to provide a barrier against oxygen at the liquid's surface, which can spoil wine by fueling both microbial metabolism and standard redox chemisty. Laboratory equipment- Argon may be used as the carrier gas in gas chromatography and in electrospray ionization mass spectrometry; it is the gas of choice for the plasma used in ICP spectroscopy. Argon is preferred for the sputter coating of specimens for scanning electron microscopy. Argon gas is also commonly used for sputter deposition of thin films as in microelectronics and for wafer cleaning in microfabrication. Medical use- In surgery it is used in a procedure called "argon enhanced coagulation" which is a form of argon plasma beam electrosurgery. The procedure carries a risk of producing gas embolism in the patient and has resulted in the death of one person via this type of accident. Blue argon lasers are used in surgery to weld arteries, destroy tumors, and to correct eye defects. 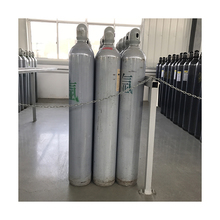 Argon has also been used experimentally to replace nitrogen in the breathing or decompression mix known as Argox, to speed the elimination of dissolved nitrogen from the blood. Lighting- Incandescent lights are filled with argon, to preserve the filaments at high temperature from oxidation. It is used for the specific way it ionizes and emits light, such as in plasma globes and calorimetry in experimental particle physics. Gas discharge lamps filled with pure argon provide lilac/violet light, filled with argon and some mercury blue light. Argon is also used for the creation of blue and green laser light. We are excellent Chinese manufacturers. 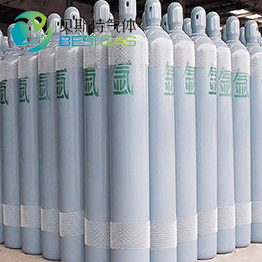 Our products, such as argon gas ,Industry gases, are of excellent quality and affordable. Looking forward to your inquiry.